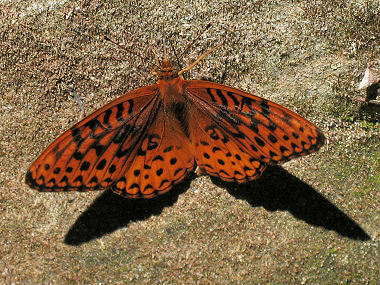 The Atlantis Fritillary Butterfly is a small to mid-size fritillary that is orange in color with dark brown or reddish-brown spots on the tops of its wings and a mix of dark and white spots on the underside. It is found in the northeastern half of Arizona, as well as the four corners states California and the Pacific northwest. The butterfly live in mountain meadows in pine and mixed forests. 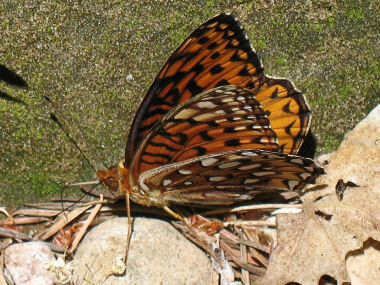 Many Atlantis Fritillary Butterflies have blue-gray eyes. Atlantis Fritillaries can be found flying in early July through August. Their host plant is the violet.